What Happens to Homeowner's Insurance When a Person Dies? Homeowner's insurance does not automatically transfer at death. 1. Does Homeowners Insurance Cover the Mortgage If You Die? 2. What Happens When Your Homeowners Insurance Lapses? 3. Why Can't My Homeowners Insurance Be in My Trust's Name? A homeowners insurance policy protects a home by paying for any damages or losses to the dwelling. Typically, the insurance policy comes with liability protection to cover accidents or injuries that occur on the property. When the homeowner who purchased the insurance policy passes away, the estate executor will be responsible for notifying the insurance company. Then, the estate must arrange to continue coverage, or a person buying the home must arrange for insurance. The original policy won't be transferable. When a home insurance policy holder dies, the original policy will no longer be valid in its current state. If the spouse of a deceased policy holder wishes to continue the insurance plan, it must be rewritten by the insurance company to reflect these changes. 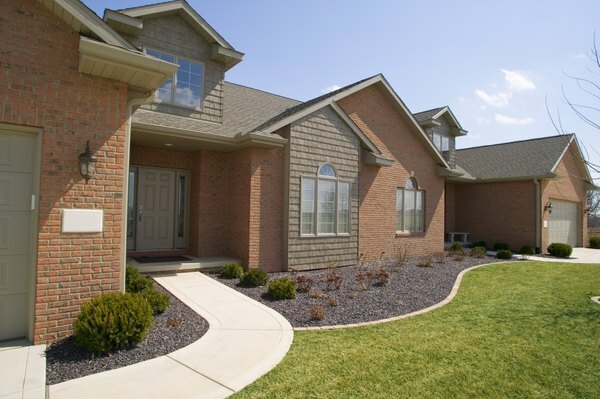 As soon as possible, contact the company that holds the insurance policy on the home. Inform the representative of the homeowner's death. The agent likely will ask for a copy of the deceased homeowner's death certificate to be forwarded by email or fax. Some insurance companies will leave the policy open until its expiration date so that the new homeowners will have time to obtain their own policy, while others provide just 30 days to do this. Always inquire as to how much time you have to buy a new policy to avoid a lapse in coverage. When a husband and wife are both listed on the homeowner's insurance policy and one spouse dies, it is possible to simply have the policy rewritten to include only the surviving spouse. Some companies also allow the policy to be rewritten for a spouse who is not listed on the policy, as long as the proper documents are submitted to show proof of ownership. This is the easiest method of maintaining coverage, so it is worth investigating by calling the insurance agent. Should there be no surviving spouse to take over the insurance policy, the estate executor can ask for coverage for the home during the probate process. If no one will be occupying the home until the process is complete, the insurance company might require the executor to purchase a vacant-home policy on behalf of the estate. During this time, the required premiums for the policy will need to be made by their due dates. If you miss a payment, the company has the right to cancel the policy. After probate has been settled and an heir has been awarded the home, or it has been sold, it is the responsibility of the new homeowner to inform the insurance company of the change. The insurance company will close the old policy and could open one for the new owner – if the owner desires to use that insurance company. The new homeowner will need to provide proof of identity, as well as information about the home, including the condition of the property and any repairs made to it. Of course, the new owner is free to shop around for the best rates. Allstate: What Information Do I Need To Provide To Get An Insurance Quote? Alicia Bodine is a New Jersey-based writer specializing in finance. With more than 13 years of experience, her work has appeared in LendingTree, GoBankingRates, Sapling, Pocket Sense and budgeting.thenest.com. Can an Insurance Company Cancel Your Homeowner's Insurance if Someone Is Renting the Property?